The 252nd Anniversary Commencement was held on May 13, 2018, and brought an audience of 32,500 to High Point Solutions Stadium to celebrate our largest graduating class, 12,961 Rutgers graduates. 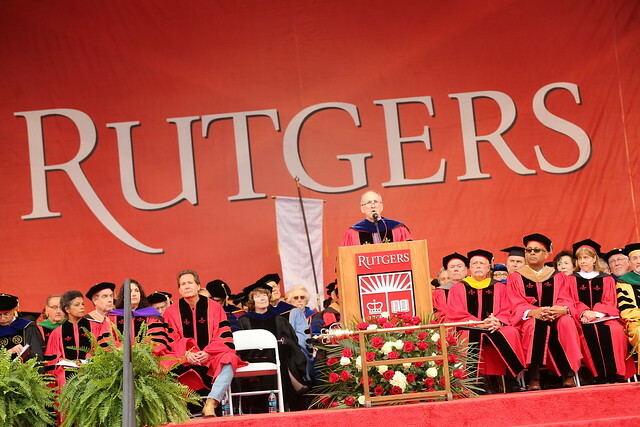 Paypal CEO Dan Schulman encouraged Rutgers’ Class of 2018 to help repair the world and take a stand for social justice during a time of unprecedented change. Read more about Schulman's address. Hover over and/or click on the image below to see the photos.